Sometimes only a veggie burger will do. The perfect bun, the perfect patty (or two ????) and the perfect toppings. 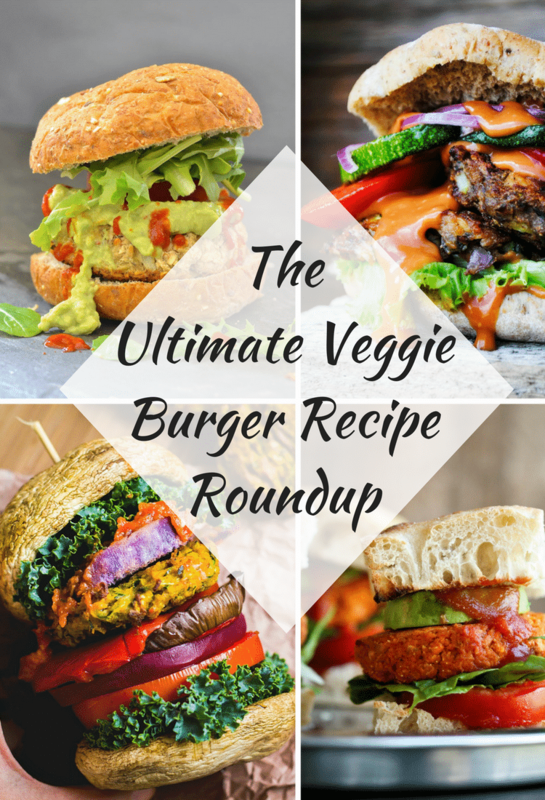 When that craving hits, I’ve got you covered with this collection of Mouth-Watering Veggie Burger Recipes! When you have a craving for a massive, delicious veggie burger, nothing else will do. When I was putting together these Veggie Burger Recipes my craving hit big-time. My mouth was quite literally watering. As soon as I had finished I started planning and testing a new veggie burger recipe of my own. It didn’t turn out quite perfect so needs more testing before it makes it to the blog, but in the meantime you have these bad boys to keep you busy! Store bought burger patties often don’t live up to expectations. Home-made beats most of them hands down and in this collection of Mouth-Watering Veggie Burger Recipes you are sure to find one (or 26 ????) that floats your boat. I put together this collection for Parade Magazine’s Community Table but thought you guys would like to get in on the veggie burger action too. All of them are vegan and all of them are super-duper burgerific!